There are several reasons why bass fishing is very popular in the world, especially in North America. One of these reasons is the fact that bass can be found in almost all 50 U.S. states. They are also somewhat easier to lure and catch compared to other types of gamefish. Under the right conditions, they can be lured with anything from poppers, jerk baits, crank baits, and spinners. They are so abundant that almost all rivers and other bodies of freshwater tributaries have them. Because of this accessibility to abundant bass populations, bass fishing is a popular hobby for both beginners and experienced anglers. However, just because they are everywhere, and they are easy to lure doesn't necessarily mean that they are very easy to catch. To successfully bait one, you should be aware of the proper bass fishing techniques that are discussed below. 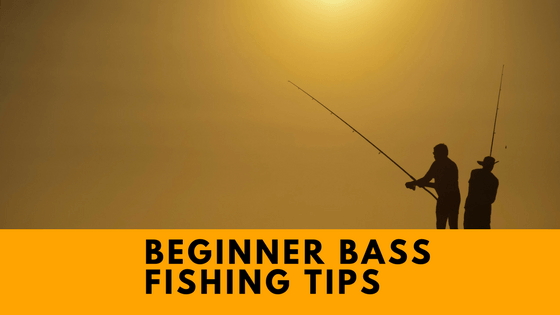 Bass fishing for beginners can seem a little bit overwhelming. Picking the equipment can be challenging, but mastering the technique can be even harder. Knowing these few simple tips can save you a lot of time and hassle. Knowing the basics will also make your time on the water a better and more productive learning experience. Bass do well in moderate temperatures, around 68-78 degrees. They like to stay in heavy cover. Knowing these two things alone will help tremendously. Look for grasses or fallen trees. These are typically bass hot spots. You can now search for heavy cover where the bass might be. Look for grasses or fallen trees. These are typically bass hot spots.If it is a warm day, you can assume that the bass will be deeper in the water to avoid the heat. To increase your chances of catching a bass, it's highly recommended that you go fishing during the first few early hours in the morning or the last few hours going into the evening. These are the times that the bass usually comes out into shallower waters to feed. Furthermore, even if it's not early morning or late afternoon as long as it's a cloudy day or the waters are muddy, the bass also comes out to feed. With that said, you can fish any time of the day as long as the weather conditions are right. Experienced anglers often recommend that you go to your favorite fishing spot an hour before sunset or an hour before sunup. A common misconception among beginners is that this is a fishing technique that only experienced anglers can pull off. That's just not true. All you really need is to practice the technique until you perfect it. Also, you should have the appropriate drop-shot rig. You are going to need a light line and a spinning outfit spooled up with a test line that weighs 6 to 10 pounds. When it comes to the baits that you are going to use, a selection of durable plastic baits would be good enough. But if you have the budget for it, you may consider getting specialized drop-shot baits. Drop-shot fishing is recommended for deep waters that have depths between two to fifty feet. This is a very common technique for beginners because it's very simple and easy to learn. The most difficult part of this technique is in choosing which jerk bait you should use. As you should already know by now, jerk baits come in all sizes and shapes. Some are great for shallow waters while some are more effective when used in deeper waters. However, your goal remains the same, and that is to imitate the movement of a wounded little fish. What you need to do is jerk your fishing rod to give the impression that your bait is unhealthy. So you've stocked your tackle box with all the recommended jigs, ﻿crankbaits﻿﻿﻿, and spinners now what? You need to learn how to use all of your baits, and when the best time is to use them. There are many different types of crankbaits. Some swim deep; some swim shallow. If you can guess how deep the bass will be, you can choose the proper crankbait accordingly. Jigs usually take the longest to learn because they are very versatile, and there is a large variety. Guess How deep the bass will be and choose crankbaits. Use either Jigs and Crank baits to fish heavy cover. A topographical map can help you to find great bass spots. Look for deep structures where the bass might be. When you find these structures, fish all around them until you find a great hole. Bass typically only inhabit a small area of a structure where there are ample food and cover for them. Many different artificial baits on the market are designed to catch this fish. More money time and effort is spent concerning this species than any other fish on the planet. It is important that the beginning fisherman understands each of the tools at his or her disposal and use them properly. First, let's start out by discussing equipment. If You Are Looking For More Information About Best Finfinders Go Here Right Away. For Largemouth Bass I recommend using a medium action graphite rod for beginners. As you become more skilled, you will be able to define situations where a more specialized rod will improve your chances of success. For most situations though a medium action graphite rod is the ticket to success. For Most situations Medium Action Graphite Rod is the ticket to Success. An open faced spinning reel with at least one hundred yards of eight to ten pound test line is a good place to start. Fluorocarbon line is your best choice because it is close to invisible in water and will make up for many mistakes a beginner will make the presentation of bait. Monofilament line would be your next best choice. You lose a bit of stealth with this line but gain in strength and stretch-ability. If you would like to know about different types of fishing reels then go there right away. A well-stocked tackle box is surely a good place to start when fishing for bass. It is important however to know when and where to use each piece of equipment you own. I recall watching a move a long time ago when Jim Brown picked up a fancy rifle and said that the only person who could miss with the rifle is the one who has enough money to buy it. Fishing Tackle Box Keeps every piece of equipment in order. The point is that the best equipment in the world is useless in the hands of an unskilled user. Largemouth Bass can often be defined as either active or passive. When they are active, they will move at fast speeds to feed or defend its surroundings. As you can guess, they are most easy to catch when they are active but even when active you will not catch them while using the improper approach. This is learned primarily through experience. Typically Largemouth Bass are active in the spring and fall and normally inactive during the hot summer months. This is not always the case, though. The activity level of this species can change from day to day and even hour to hour. When Largemouth Bass are active, they are best caught using fast moving lures. Spinnerb﻿﻿﻿﻿﻿﻿﻿aits work best in shallower water and water with light to moderate weed growth. You should switch to an inline spinner when fishing water that is of medium depth. Largemouth Bass no a doubt is the most endeavored after game fish in Florida. It is the main target of the majority of anglers. Many of these lure busting monsters in the 10 to 12-pound range are taken every year in local waters. Spinner baits works best in shallow water. One of the more popular lures for catching bass is the Spinner bait lure, which is used by professionals and beginners. If you are a beginner, there's a chance that you may have never heard of this technique. But in the professional fishing community, this is a well-known fishing strategy. As the term implies, it's a technique that involves using baits that create a consistent buzzing sound. This buzzing noise will attract bass from a distance. Out of curiosity, the bass will be lured into your bait. Buzz baits usually have wiggling skirts or flashing blades that create the sound. This technique is useful in drawing bass out of their hiding places. Some other types of freshwater fish that are also worthy of catching are the brown bullhead, along with the catfish. These fish are very fun to fight, not only are they very fun to fight they can make a great meal at the dinner table also. But when it comes to overall popularity, the bass still takes the crown of freshwater fishing. All you need is a pole and some bait to catch yourself some dinner when freshwater fishing. But if you are going for bass you will have to test the waters; you will have to test and try out different lures, as you will need different lures for different water conditions. There are many techniques and types of tackle available to practice the sport of bass fishing. For a beginner, it is advised to gather some more basic tools to get started. Some suggestions point towards acquiring a 10-pound line, suitable for the average sizes and weights of this species. This technique is very similar to buzz baiting because it involves attracting bass nearby by creating a lot of sounds and dramatic movements. However, compared to buzz baiting, topwater baiting is more aggressive, and it's specifically designed to attract the attention of active and starved fish. The most common baits used in topwater baiting are jitterbugs, poppers, and frogs. You need more finesse in employing this technique to ensure that you attract the bass and not scare them off. This method is applicable in both shallow and deep waters. If you are interested in topwater lures for bass fishing go there right away. A lot of professional anglers prefer this technique because it can cover a lot of water no matter the depth. It's also about presentation so you need to make use of baits that can attract the attention of bass who are either moving or idling nearby. What you need to do is grab the attention of the bass by reeling then suddenly stopping. As the bait moves and rises, repeat the reeling and stopping the process as often as necessary. This can drive the bass crazy which will make it more aggressive and more likely to go for the bait. These are bass fishing techniques that target inactive bass. With that said, you need to employ stealth in your fishing approach. Generally speaking, flipping is a good strategy if you are fishing in muddy or murky waters. It can take you some time to master this technique because it demands accuracy in placing your baits. On the other hand, pitching is good for clear waters. This is recommended if you are targeting bass that is between 10 and 30 feet away from you. Pitching enables you to stealthily approach the bass as quietly as possible. For best results, you should make use of a rod that is at least 6.5 feet long and single-hook lures such as jigs, worms, and spinner baits. All of the bass fishing techniques discussed above are not that difficult to learn. Just practice them whenever you have the time and sooner or later, filling up that fishing bucket would become easier. If you have anything to add to the techniques we discussed, please feel free to add your thoughts in the comments section below. We would love to hear what you have to say. If you know of some people who might find this article valuable, don't forget to share it with them. If you are fishing for bass for the first time, then artificial bait would be my recommendation. Unless you know what you are doing, you will have a better chance at landing a bass using a lure. One of the more popular lures for catching bass is the Spinnerbait lure, which is used by professionals and beginners. For water, that is deeper than six to eight feet your best bet in a crankbait. Each of these lures is designed to be retrieved rapidly. When retrieved slowly their action is compromised and with it their effectiveness. Further if you are interested in night bass fishing then click here to see a dedicated article on bass fishing at night.